Welcome To Golightly Insurance Services! My riding mates know two things about me for sure, one is I am usually the last to arrive and secondly they know if the worst happens I am there for them. You cannot buy that sort of recommendation! Still working on the last to arrive bit. If you join ourgroup of motorcycling friends by taking this cover you will have the best we can provide. If you think we can do better, I want to know about it. anytime if I am out riding leave a message and I will reply when I return. 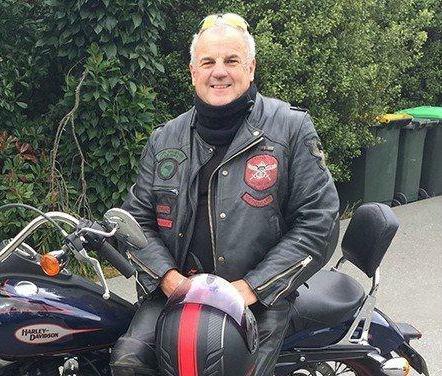 My name is David Golightly, motorcyclist and insurance broker. I wanted the best insurance cover a motorcyclist can get so I designed this one to be the best. It carries my name so it has to be. Know of any good rides? I’d love to hear about them. We are happy to discuss ways in which our motorcycle insurance experience can enhance your riding. We look forward to hearing from you. Message is not sendable due to captcha not loadable. Please contact us at d.golightly@xtra.co.nz. Message could not be send. Please contact us at d.golightly@xtra.co.nz instead.